Phoenix Children's Hospital is an Equal Opportunity/Affirmative Action Employer. Phoenix Children’s employees enjoy unprecedented growth opportunities, excellent salaries and outstanding benefits that allow them to build their careers in clinical and non-clinical fields, amplify the culture of the Hospital and help achieve the vision of becoming a world-class medical institution dedicated to the highest standards in children’s health care. Dr. Greg White, division chief of the Herbert J. Louis Center for Pediatric Orthopedics at Phoenix Children’s, is an orthopedic surgeon by day and a rock star by night. He specializes in the surgical treatment of scoliosis and spinal deformaties and was named a Top Doctor by Phoenix magazine. On the weekends, however, Dr. White can be seen around the Valley playing the bass in one of his local two rock bands: Southwest by Midnight and all-doctor band Central Line. Adrian Ruiz was serving in the United States Army when his family was transferred to Phoenix so his daughter could receive the care she needed at Phoenix Children’s Hospital. 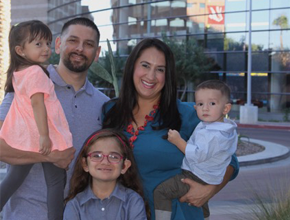 Adrian Ruiz was serving in the United States Army when his family was transferred to Phoenix so his daughter could receive the care she needed at Phoenix Children’s Hospital. Ruiz gave his daughter his kidney, transitioned out of the military to pursue a nursing career, and was recently named a 2016 Nina Scholar through the Nina Mason Pulliam Charitable Trust. 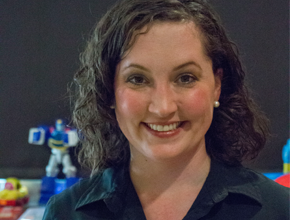 Specializing in hemophilia treatment, Becky Garcia developed the Infusion Boot Camp to help children with hemophilia learn more about their condition, how to give themselves infusions and meet other kids living with blood disorders. Garcia was named Phoenix Children’s 2016 Nurse of the Year and awarded the Health Care Hero Award in the Nursing Category by the Phoenix Business Journal. Perry Edinger, a physician assistant in the Sports Medicine Program at the Herbert J. Louis Center for Pediatric Orthopedics at Phoenix Children's Hospital. 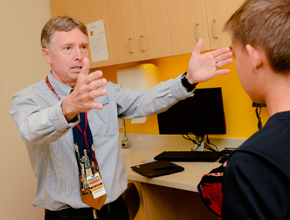 Perry Edinger, a physician assistant in the Sports Medicine Program at the Herbert J. Louis Center for Pediatric Orthopedics at Phoenix Children's Hospital, served as the head athletic trainer at Arizona State University for 14 years. At Phoenix Children’s, he specializes in running injuries since he enjoys running 50- and 100-mile races. He also developed a return-to-play protocol for ACL injuries that involves objective and 3D video that allows parents and athletes to better understand when it’s safe for the patient to return to sports. 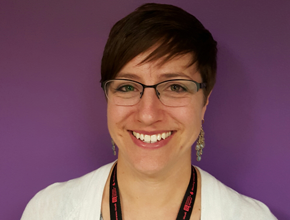 Pediatric Nurse Practitioner Kristen Sullivan, a Chicago native, has been working in pediatrics for 20+ years. Pediatric Nurse Practitioner Kristen Sullivan, a Chicago native, has been working in pediatrics for 20+ years. 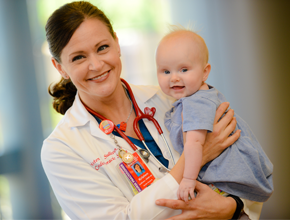 At Phoenix Children’s, she continues her passion for caring for children born with congenital heart problems. Her favorite part of her job is the daily interactions with families during a time of stress and uncertainty in their lives and educating them on how they can be involved in the caring process of a child with congenital heart disease. David Fitzgerald, clinical specialist for Phoenix Children’s Cardiovascular Services, was one of the first nurses invited to pioneer cardiac units at several different Arizona hospitals in the last 14 years. 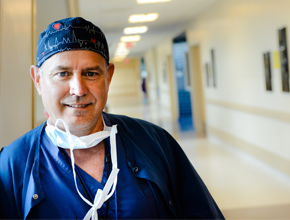 Fitzgerald trains a team that specializes in complex care for children with heart conditions, seeing patients through surgeries that last eight or more hours. There weren’t many male nurses when Fitzgerald graduated from nursing school, but being a part of an outstanding team and achieving outcomes on par with other top hospitals reminds him why he loves what he does. Sarah Okot, a former Phoenix Children’s patient and now a child life specialist, was diagnosed with a stage IV Wilms Tumor in her kidney, which had metastasized, during the week of her 8th birthday. After one year of chemotherapy administered through a broviac catheter, six weeks of radiation, three abdominal surgeries, and having her right kidney and gallbladder removed, Okot became completely free from cancer the week of her 9th birthday. Sarah credits her doctor, nurse, child life specialists and Animal Assisted Therapy for helping her cope with her cancer at Phoenix Children’s. Her experience motivated her to become a child life specialist at Phoenix Children’s as well as become a voice and advocate for her patients and families. Dr. Korwyn Williams is a pediatric epileptologist and is board-certified in both neurology and psychiatry. Dr. Korwyn Williams is a pediatric epileptologist and is board-certified in both neurology and psychiatry. 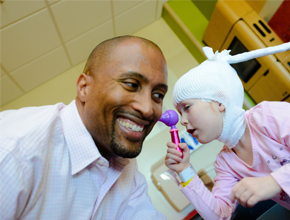 He is part of the Comprehensive Pediatric Epilepsy Program, which provides outpatient consultation, inpatient evaluations, presurgical and surgical planning, ketogenic diet supervision and vagus nerve stimulator device programming. 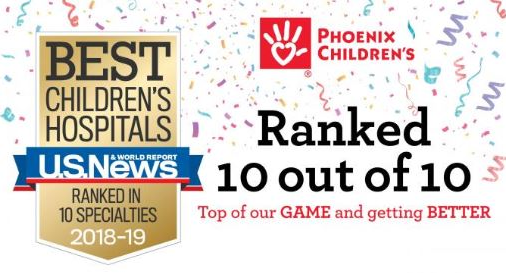 Phoenix Children’s is Arizona’s only nationally ranked children’s hospital and has grown to become one of the leading pediatric health care systems in the country. Every day our clinical, professional and support staff work collaboratively to deliver on our mission to provide hope, healing and the best health care for children and their families. We embrace the challenges of providing compassionate, high-quality, family-centered care to the most complex patients in the region. 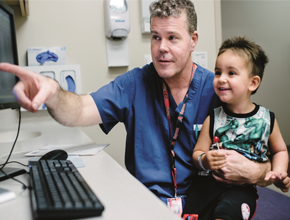 As one of the largest children's hospitals in the country, Phoenix Children's Hospital offers a wide variety of career and professional development opportunities for nurses. As a new graduate nurse, Phoenix Children’s offers a variety of opportunities to learn and grow. 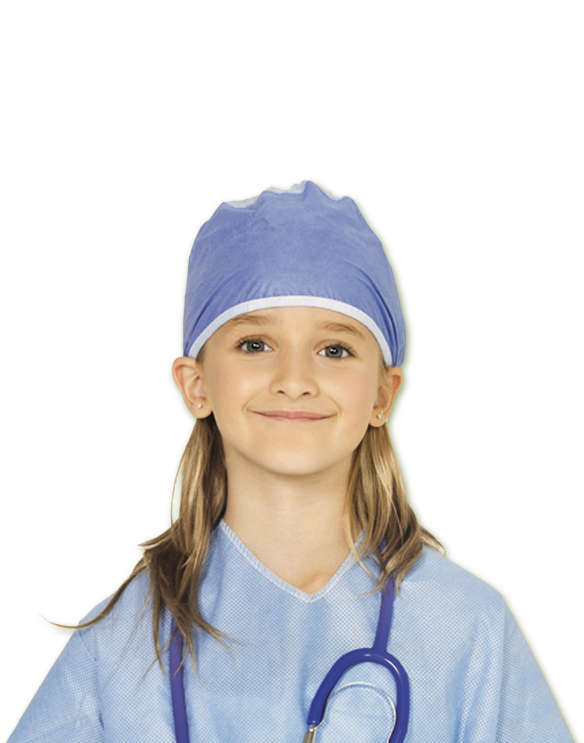 As an experienced nurse looking to grow professionally or continue your education, Phoenix Children’s offers a number of opportunities in nursing education, leadership, or clinical positions.